Want help with proposals? Take the Sales for Nerds Online Course. Change the way you think about proposals, win more deals, or your money back. Think “Sales” and “Marketing” are Dirty Words? The Sales for Nerds LinkedIn Group. Few things cause as much anxiety as pricing. I get a lot of questions about this, so I decided to do an experimental episode just to delve into this topic. Why it’s easier to underprice than overprice (and what that means for your pricing now). What better pricing can do for your business and your life. The high and low bounds of pricing. How to get closer to the higher bound. How to present price in the sales process. How to move from hourly to fixed-fee pricing. Get the episode now on iTunes, listen on Overcast, or Subscribe on Android. Since I was just by myself, a glass of whisky means that I didn’t have to worry about saving the rest of the bottle– that stuff keeps. 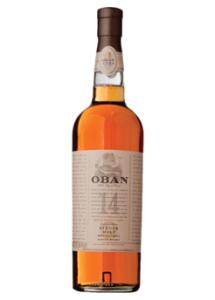 Oban 14 has a nice taste, milder than the peatier malts I usually prefer, but with a little honey and vanilla to make it interesting. Where you can find Reuben: @Sales4Nerds, @Mimiran, Mimiran.com.